There are still several weeks before U.S. sanctions on Iranian oil actually kick in, but expectations of tight crude inventories already have contributed to much of this year’s gain in global prices. The rise has come despite concerns over potentially lower energy demand and plans by two of the world’s biggest producers to boost output. “The markets are always forward-looking,” said Tamar Essner, energy director at Nasdaq IR Intelligence. “Exports from Iran are already down about 35%, when you look at crude and condensate [a very light oil] together,” since President Donald Trump announced the U.S. withdrawal from the Joint Comprehensive Plan of Action in May. The deal between Iran and six world powers and the European Union was made to ensure that Tehran’s nuclear program had a peaceful purpose, rather than to make nuclear weapons. “The market has really been surprised by the degree of enforcement from the U.S.,” Essner said. In the past, she adds, Washington had “targeted reductions in exports” with sanctions, but the current administration has “focused on elimination” of exports from Iran, the Organization of the Petroleum Exporting Countries’ third-largest producer. Nations such as South Korea have reached full compliance with the sanctions, and “critically, we’ve also seen China already showing signs of reducing their level of imports,” Essner said, noting that a buildup of Iranian oil in offshore storage shows that “it’s been harder for Iran to find buyers.” U.S. allies have until Nov. 4 to end imports of oil from that country. Since Trump’s announcement in early May through mid-September, the price of Brent crude LCOX8, -0.01% the global benchmark, climbed roughly 7%. It settled at $78.60 a barrel on Thursday, up about 18% since the year began. “European companies will almost certainly comply with these sanctions to avoid fines and confrontation with the U.S.,” said Sebastian Leburn, senior portfolio manager of Boston Private. “About a third of Iran oil is exported to Europe, and this is where the curtailment will be most pronounced.” Iran’s crude and condensate exports averaged 1.92 million barrels a day in August, down from 2.32 million in July, according to estimates from S&P Global Platts. Saudi Arabia and Russia have been trying to ensure market stability in the aftermath of the Iran sanctions, but some question their ability to make up for the lost barrels of crude. In June, OPEC and allied producers said they would rein in production curbs implemented in January 2017. That could raise daily output by one million barrels, to help offset a possible supply shortage from the Iran sanctions and production losses in Venezuela and elsewhere. A committee of OPEC and non-OPEC producers was expected to discuss how best allocate the production increase at a meeting in Algiers on Sept. 23. 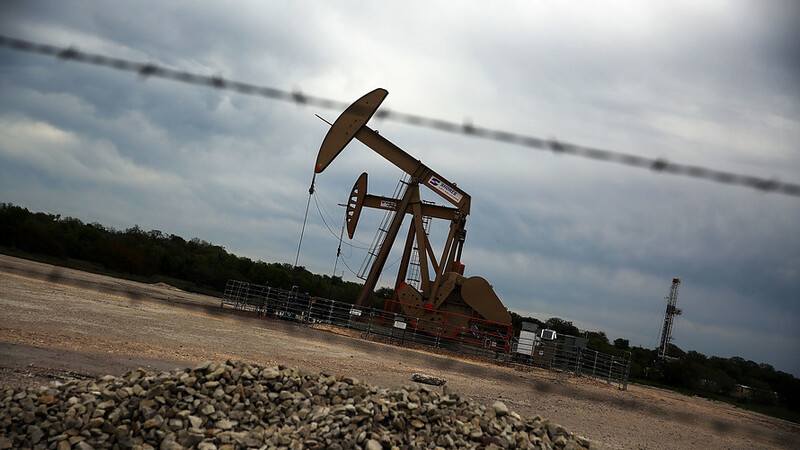 It’s more likely that U.S. benchmark West Texas Intermediate crude prices CLX8, -0.16% will spike into the $100 range, prompting production from drilled-but-uncompleted wells to ramp up, “along with greater U.S. exports to ease the tight market,” said Faulkner. That “will not replace the totality of the loss, but it, along with marginal production increases globally, can soak the market to prevent” oil from going into the $130 range. Iran, however, isn’t the only factor that will help guide oil’s direction. The sanctions probably will remove 1 million to 2 million barrels of oil a day from the market, and that’s obviously very bullish for prices. But the other big factor is the trade war, which is potentially very bearish for crude, because it could dampen demand, Essner says. Trump has imposed tariffs on, and plans even more, on hundreds of billions of dollars’ worth of goods from China, the world’s largest energy consumer.